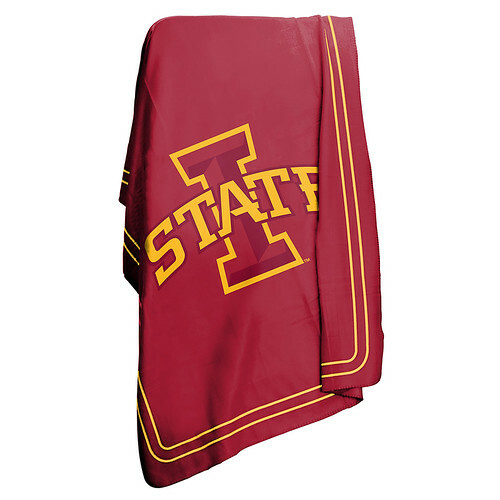 Officially Licensed - Stay warm in the comfort of this Iowa State Cyclones Classic Fleece Throw. These officially licensed NCAA fleece blankets measure 50" x 60" and feature a sublimated logo and border design on the front. You will want this Fleece Throw at your next Alabama Crimson Tide home game or tailgate party. Don't wait for the cold - be ready and order your Iowa State Cyclones Classic Fleece Throw today!